The town's name, for some, would be of Byzantine origin, whilst for others it would derive from "all golden", due to a small mine, now exhausted, but still visible near the village cemetery, discovered north of town. It is a district of Ortonovo, in the province of La Spezia, on the border between Liguria and Tuscany. Nichola is a typical medieval village perched on top of a hill and overlooks the verdant valley. 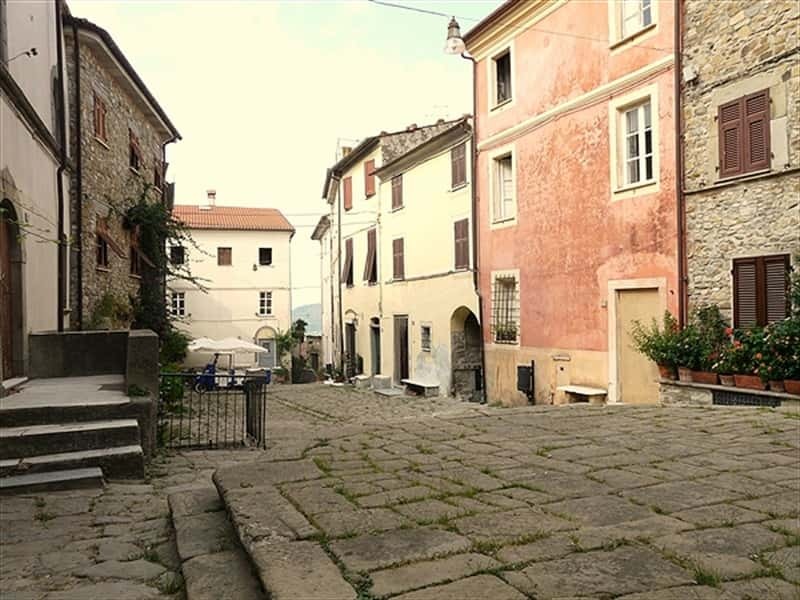 The village was at first under the jurisdiction of the bishops of Luni and was subsequently conquered by Lucca, Pisa, by the Scala family, the Rossi of Parma, by Spinola of Genoa and by the Visconti of Milan. In 1406 it was under the protection of Florence, and after the attack of the troops of Piccinino, the citizens turned to the Florentines to get economic aid in order to repair the huge damage suffered. In fact, during the harsh attack, the village was looted and damaged, the houses given to the flames and the fortified walls destroyed. The money generated from Florence also served to rebuild the walls, still visible in part today. At the end of 1400 the center was sold to Banco of San Giorgio and later it became part of the Republic of Genoa for over two centuries, period in which it was constantly in conflict with the neighboring municipalities for borders, such as Ortonovo and Sarzana . At the end of 1700, with the arrival of Napoleon, Nicola became part of the Ligurian Republic and in 1806 it was incorporated in the town of Ortonovo and became a district. La Piazzetta dell'Acacia, an old tree, where you still see a part of the ancient walls and a watchtower. The castle with a pentagonal tower built, between the XIII and XV century, in a dominant location of the Magra Valley. The famous crazy staircase, named so for the irregular steps. It reaches the highest point of the village, in the church square. The Church of Saints Philip and James, that features a Baroque facade, that dates back to 1759. It was built on the ruins of a Byzantine chapel of the VI-VII century and a castle destroyed by Rotari troups. The church was rebuilt and enlarged in the '500 and '700. The portal dates from the early XVII century, there are two shrines in the same period, the high altar, of marble, dates from the '600 and behind this altar there is a wooden choir of the second half of the XVII century. The building also contains other wonderful artworks, wooden statues and paintings. This town web page has been visited 13,591 times.